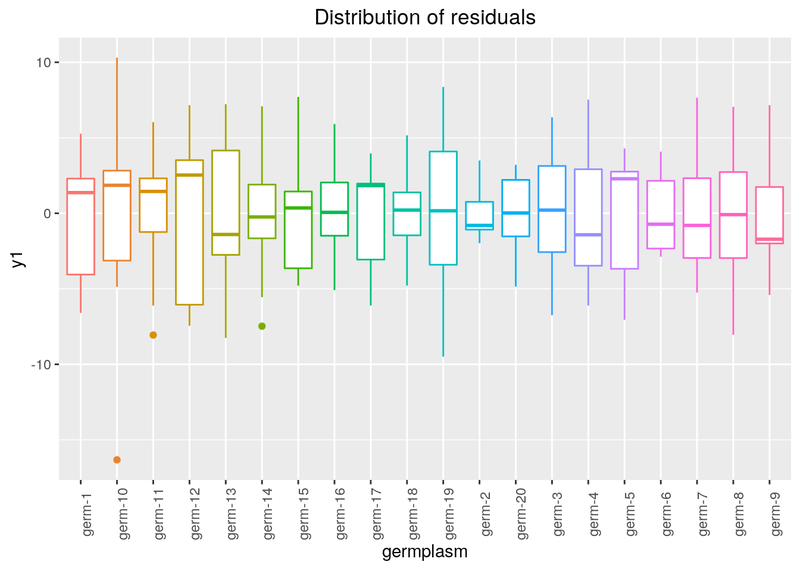 The experimental design is described by the number of plots per location, the number of locations, the number of replications of the different germplasms within and between locations. the number of columns in the design. The number of rows is computed automaticaly. 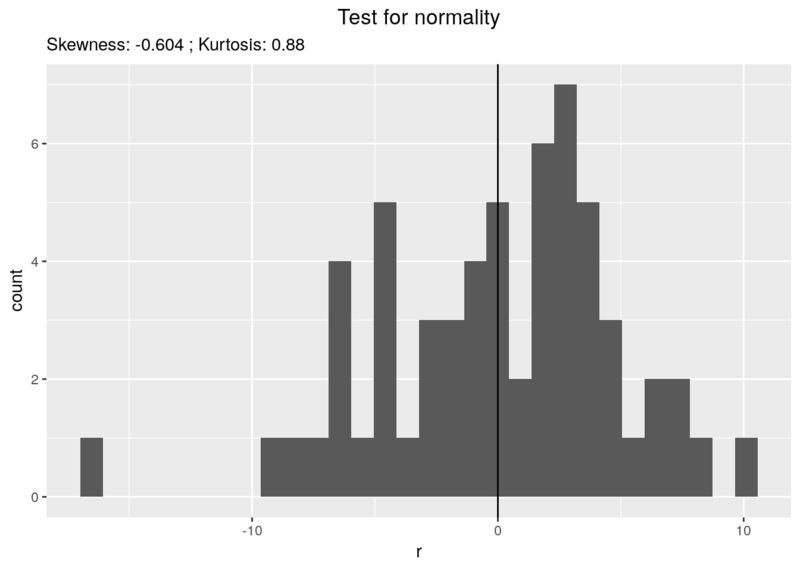 A description of the algorithm is describe in the help of the function: ?design_experiment. In fully replicated design, all entries are replicated with randomly choosen order into different blocks. The decision tree where fully-replicated designs are used is displayed in Figure 3.3. Figure 3.3: The decision tree where fully-replicated designs are used. 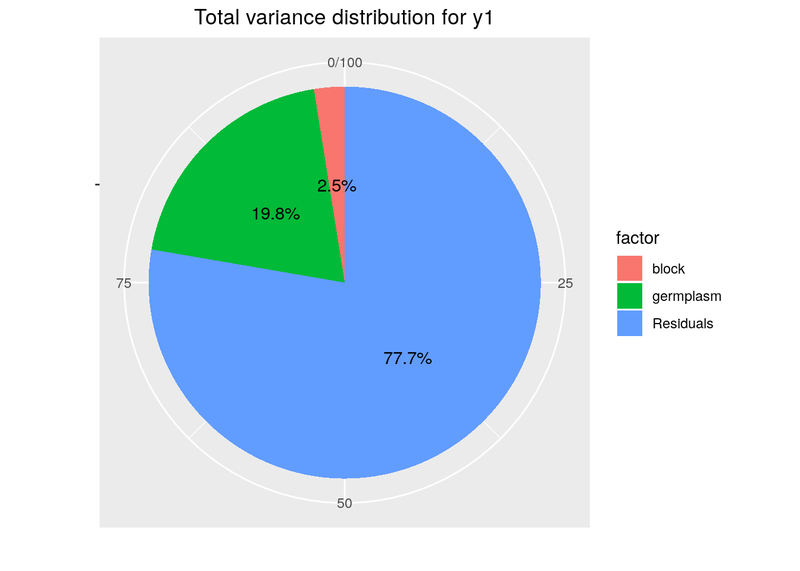 The decision tree where incomplete block designs are used is displayed in Figure 3.5. 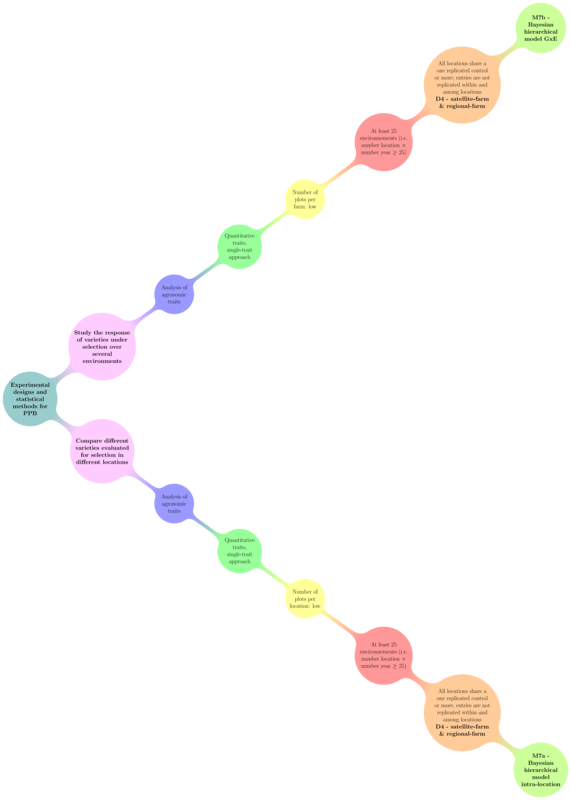 Figure 3.5: The decision tree where incomplete block designs are used. Entries are not replicated on a location. Some entries are common to some locations. Each block is an independent unit and can be allocated to any location. Each farmer has to choose one or several pre-designed blocks. 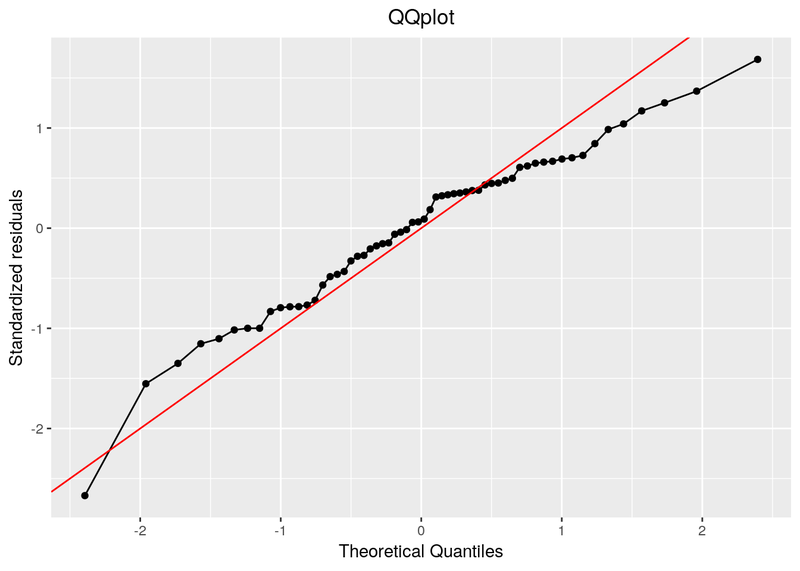 Therefore, the experiment can be handled by several locations that can not receive a high number of plots. Figure 3.6: Example of incomplete block design where different germplasms are replicated over some blocks. In Row-column design, a control is replicated in row and columns to catch as much as possible of the variation. The decision tree where row-column design are used is displayed in Figure 3.7. Figure 3.7: The decision tree where row-column designs are used. 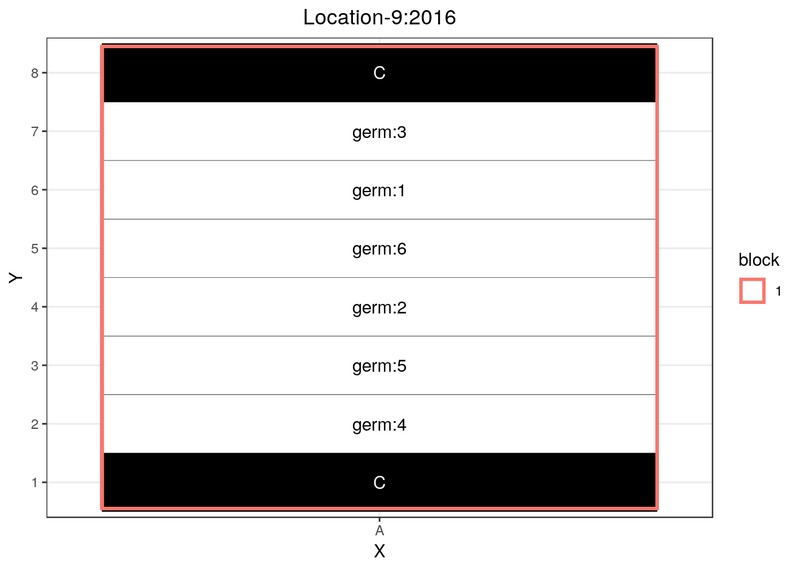 Figure 3.8: Row column design where a control (toto) is replicated in rows and columns. Note that if controls are missing in rows or columns, the function will return an error message. The controls must catch as much as possible of the trial variation. Regional farms receive several entries (i.e. 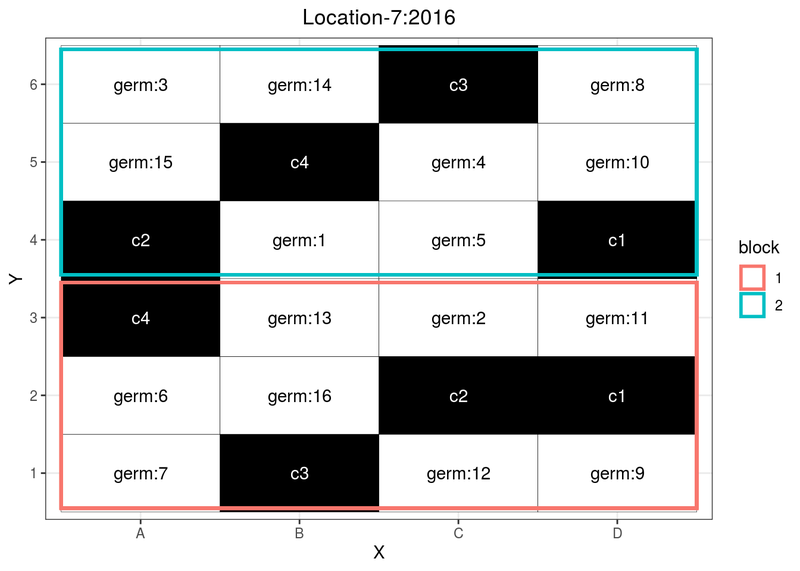 a germplasm in an environment) in two or more blocks with some entries (i.e. controls) replicated in each block. Satellite farms have a single block and only one entry (i.e. the control) is replicated twice. Farmers choose all entries that are not replicated. The number of entries may vary between farms. Note that at least 25 environments (location \(\times\) year) are need in order to get robust results. The decision tree where regional and satellite farms designs are used is displayed in Figure 3.9. Figure 3.9: The decision tree where regional and satellite farms designs are used. As an example here, six designs are generated: four for satellite farms and two for regional farms. Figure 3.10: Example of a satellite farm design. Figure 3.11: Example of a satellite farm design. Figure 3.12: Example of a satellite farm design. Figure 3.13: Example of a regional farm design. ## Warning in place_controls(d, expe.type): Controls are missing in columns 1. ## You can rise nb.controls.per.block. ## Warning in place_controls(d, expe.type): Controls are missing in rows 4. ## Warning in place_controls(d, expe.type): Controls are missing in columns 3. ## Warning in place_controls(d, expe.type): Controls are missing in rows 1. Figure 3.14: Example of a regional farm design. If you have enought space and lots of seeds, you can adapt the satellite farm design with only one column. Each row beeing a sower width. 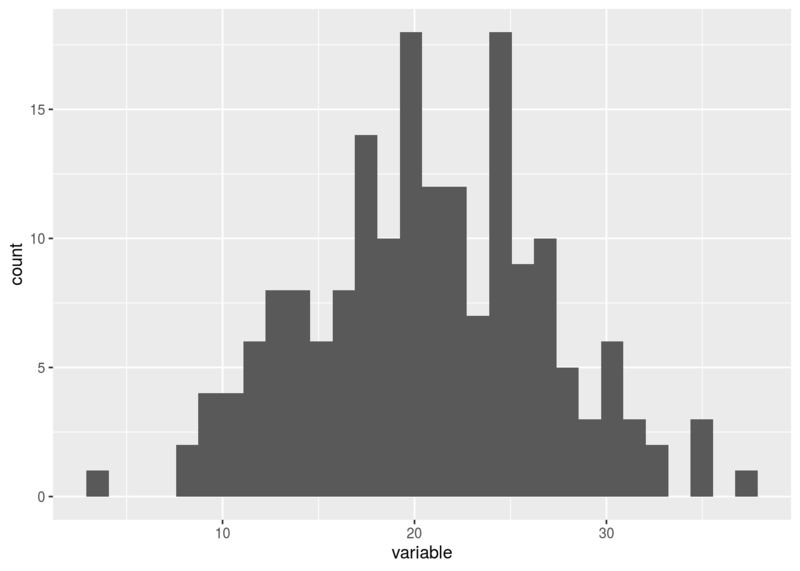 Then you must be careful to have several sample for a given row to be as representative as possible. Figure 3.15: Example of a satellite farm design. if nb.entries > 10, a warning message recommands to have less than 10 germplasms or to choose expe.type = "regional-farm". For expe.type = "regional-farm", there is a warning message if controls are missing in rows or columns. It is better to catch as much as possible of the trial variation. If there are less than 2 blocks, an error message is returned.